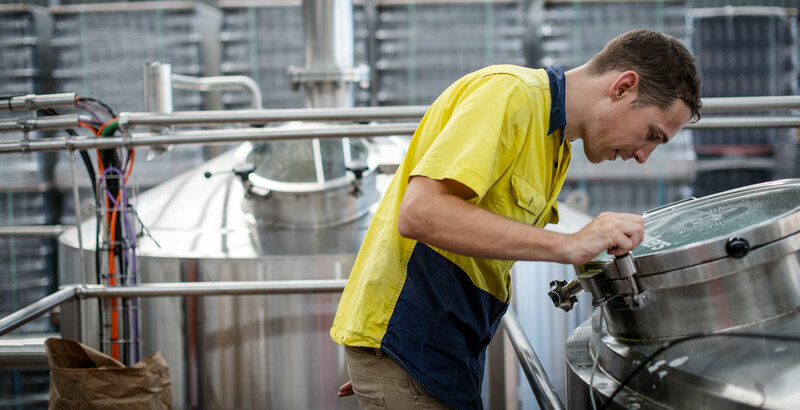 As the beer industry continues to expand, one challenge has been finding enough skilled brewers to staff the hundreds of breweries across Australia, as reported by Brews News last month. But Hawkers Beer this week is celebrating a win that could help ease the situation as well as raise the standard of brewing talent in the country. The Reservoir brewery, working with immigration lawyer Joseph Italiano, secured a Temporary Work (Skilled) Visa, more commonly referred to as a 457 visa, for one of its brewers – the first time one has been granted for brewing. "Brewing wasn't recognised as a skill set," says Hawkers CEO Mazen Hajjar, "but our immigration lawyer said why are bakers or winemakers more skilled than brewers?" The brewery last year took on Dan Northcutt, an American brewer, and asked if he would be willing to act as a test case, explaining that the case may fail, that it would likely lead to a tribunal but, at the very least, he would be able to continue working as they went through the process. In the end, there was "no resistance," says Mazen, adding that they were surprised the Department for Immigration and Border Protection was open to the idea. "We have set a precedent for every brewer in Australia." Prior to moving to Australia, Dan had brewed for three years at Parish Brewing in Louisiana as well as working for a winery in Napa, California, and one in Rutherglen. "After three years of brewing I decided to travel for a year, which eventually led me to Australia," says Dan (pictured above). "I genuinely missed the industry and decided to attempt to crack into the emerging Victorian scene. I was referred to Hawkers through the Merri Mashers homebrew club. "I immediately hit off with the crew at Hawkers and, over the past year, have greatly expanded my knowledge of brewing science and technique." He says becoming the first brewer to gain a 457 visa is "a very humbling and rewarding experience". "Dan was very courageous to take these steps," says Mazen. "Now we have the ability to attract good brewers from abroad to raise the level of brewing in Australia. We can have the best mixing with the best."